The Winnipeg Jets scored three goals in the first 10 minutes on the way to an 8-1 whipping of the Carolina Hurricanes on Friday night in Raleigh, N.C. It was the fifth time the Jets scored seven or more goals this season, including a 9-3 win over the Anaheim Ducks last month. Elhers and Jack Roslovic each had two assists, while Hayes, Wheeler, Chiarot and Connor added one assist apiece for Winnipeg, which bounced back from a 5-2 loss at Tampa Bay on Tuesday night. The Jets have won three of their past four games, reaching the six-goal mark for the second time in seven games. The Hurricanes had a season-best six-game points streak snapped. Coupled with an overtime loss at Boston on Tuesday, they have dropped consecutive games for the first time in nearly two months. 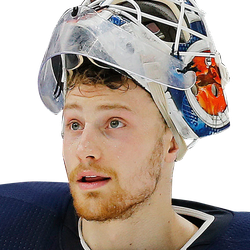 Goalie Laurent Brossoit made 28 saves for the Jets, who are 2-1-0 on a four-game road swing. Greg McKegg scored for the Hurricanes, who trailed 5-0 at the time, with 10:23 to play. Regardless, Carolina was heading for its first loss by more than a four-goal margin this season. 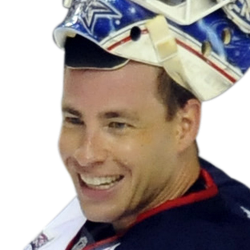 Carolina goalie Curtis McElhinney stopped 21 shots. It was a rough way for the Hurricanes to play in their lone home game during a two-week stretch. To make matters worse, Carolina forward Micheal Ferland departed early in the third period with an injury and didn't return. Hayes began the scoring when he had an initial shot blocked, but he smacked the puck while it was still in the air and scored on McElinney at 2:58 of the first period. Wheeler doubled the lead less than three minutes later, and Chiarot scored while the teams were skating four-on-four. The Jets kept it up until the end. Their final goal, by Lowry, came with 19 seconds to play. The Jets won 3-1 against Carolina on Oct. 14 in Winnipeg.